Henry Moore. Very Good. No Jacket. Book. 8vo-over 7¾-9¾" tall. Reprint of the 1980 first edition. 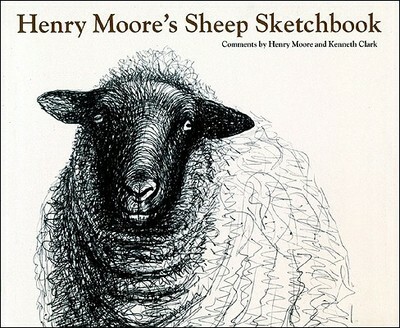 Softcover with titles in brown on front cover and spine, and pen and ink drawing of a sheep on front cover. Condition: Very good with very light shelfwear to covers. Binding sound, text clean, no inscriptions. 96 sketchbook pages, including 4 in colour. While working at his home in Much Hadham, Henry Moore began to draw the sheep he saw grazing. For him the sight of a ewe with her lamb evoked the mother-and-child theme-a large form sheltering a small one-which was important to Moore in all his work. With comments from Lord Clark. Size: 8vo-over 7¾"-9¾" tall.